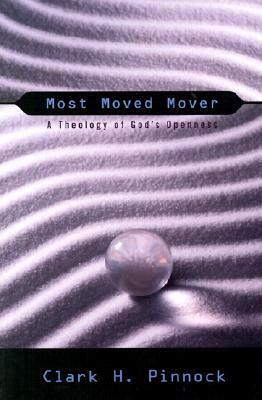 Pinnock presents a reconsideration of the Aristotelian definition of God as the Unmoved Mover. The original concept is based on the idea of Plato that anything that changes in any way is not perfect. So for Aristotle, God was only an organizing principle or concept, not an interactive entity. This was the limitation facing Thomas Aquinas in using the popular philosophical approaches of medieval Europe's growing secular academic scholasticism. He made some great progress, but his followers missed much of the insights peeking through Aquinas' new philosophical formulation. And they failed to deal with the fully interactive and relational portrayal of the God of the Hebrew revelation. Pinnock attempts to fill that gap. Sign into Goodreads to see if any of your friends have read Most Moved Mover.